Novak Djokovic showed no mercy to Rafa Nadal in last night’s Australian Open Final. Winning the title in just 3 sets (6-3, 6-2, 6-3). 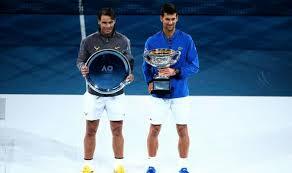 Show casing both talent and class, Spain’s Rafael Nadal seemed like he was no competition for the champion. Novak Djokovic now has a record 7 Australian Open Titles and 3 Grand Slam Titles to his name.